One of the key highlights of my Kuala Lumpur trip was its delicious food. I absolutely loved the lip-smacking, finger-licking Malaysian cuisine and would look forward to the gastronomic delight that awaited me every day. I promise to write more about my food adventures (oh, there were many) in a separate post. 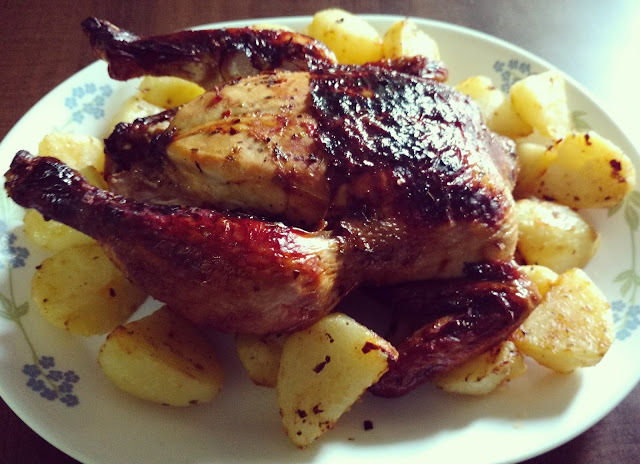 But till then, I just could not resist the desire to re-create one of my favourite chicken dishes in Kuala Lumpur, and share its recipe with you. Back in the Renaissance hotel where I was staying, the breakfast spread was a huge one where you could choose to partake anything from dimsums and seafood noodles to our very own dosas and idlis. I deliberately decided to steer clear of Indian food and stick to the other cuisines they had on offer. After all, it is not every day that I get to visit a foreign country. One of the dishes that really tickled my taste buds was a combo of the beautiful, lacy roti jala and the exquisite, lemongrass flavoured chicken curry. The spicy, lemony flavor of the curry intrigued me and I knew that I had to make this at home. I tried it again in one of the food courts, this time with rice, and realized that it paired beautifully with rice as well. I could not wait to cook this fragrant curry in my own kitchen! And so, a few days later, post my KL trip, I found myself browsing through various recipes that I felt resembled my chicken curry. Most of them had ingredients that were not readily available in my local supermarket. Also, I am too lazy to look for ingredients. So, this is what I did. 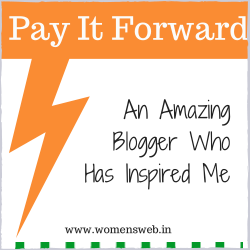 I came across this simple recipe and I decided to tweak it as per whatever I had in my kitchen. Yes, you are allowed to roll your eyes and throw up your hands. That’s laziness for you alright. But, somehow, maybe by divine intervention, my chicken curry actually turned out to be quite….if I may say so myself –nice! It was still eons away from the original lemongrass chicken curry I had tasted in KL, but I think in trying to recreate the dish, I have stumbled across a delightful recipe. Toss the chicken pieces with the spice powders (turmeric, Kashmiri mirch and meat masala) in a bowl so that the spices coat the chicken well. Next, heat a little olive oil in a large heavy-based pan and add the chopped onions and chillies. Add a pinch of sugar to caramelize the onions. When the onions turn golden brown, tip in the chicken and brown the pieces well to seal in the flavours. Then, add the lemongrass, ginger, soya sauce – lime juice mixture, salt and sugar. Stir well before adding a cup of water. Cover the pan and reduce the heat. Let it simmer for 15 - 20 minutes or till the chicken is cooked. Finally, pour in the coconut milk, simmer for another 5 minutes and add a dash of lime juice before taking it off the heat. Serve hot with steamed rice. I had visions of presenting the chicken beautifully with a perfect dome of rice, a stalk of lemongrass lying coyly by the side. But when the time to serve came, the clock was ticking ominously towards midnight, hunger pangs were being expressed explicitly by the husband and a cranky kid was hanging onto my dress. So, all hopes of garnishing the dish went out of the window and I hurriedly transferred the curry into a bowl to take a picture. Perhaps I will cook the dish again someday soon and replace these pictures. Till then, enjoy the aroma of Malaysia through this fragrant lemongrass chicken curry! 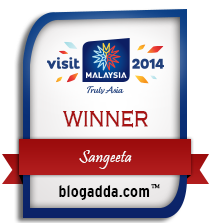 PS: I had won an all-expenses paid trip to Kuala Lumpur, courtesy Tourism Malaysia and BlogAdda.